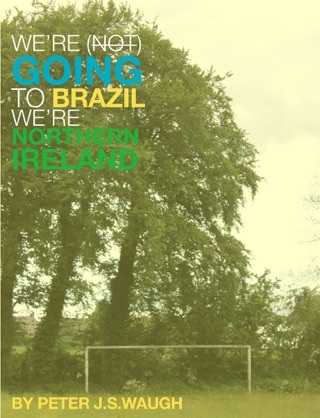 Half Irish is the fictional travelogue journey of 17 year-old Tyler Sontoro. During the book Tyler discovers his care free life on the busy streets of Manhattan is a lot different to life on the bustling streets of Belfast. From gigging in coffee shops in TriBeCa to standing on the cliffs of Moher, busking in Belfast to late night drives with his beautiful summer girlfriend Tabitha, Half Irish takes you on a journey as you rediscover what it means to fall in love all over again and again and again. 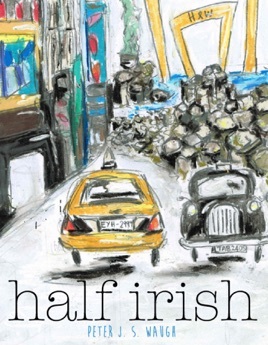 Thanks to the wistful hope-filled thoughts and a driving narrative from Peter J. S. Waugh, Half Irish is one of the best debuts to come out of Belfast in decades. This heart-warming coming of age love story will make you laugh until you cry and cry until you begin to dream again. Half Irish tells the story of Tyler a young high school graduate from New York who comes to Belfast to spend the summer with his cousin. The book explores issues very prevalent for young people such as loss, depression, failure, love and friendship, but is primarily a story of hope, love and laughter.